Manuals, guides, models, books, event guides, magazines, badges, brochures, posters and more! From time to time, Bramhall Classic Auto comes across interesting classic car memorabilia for sale. Please see what we currently have available below. Cavallino Magazines – The first two editions of Cavallino Ferrari Magazines are currently for sale. Read more. 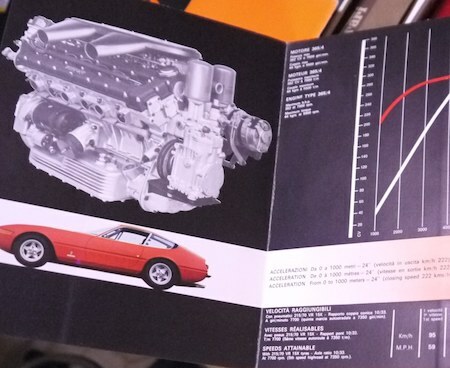 (SOLD) Prestige Ferrari Collection – A collection of Ferrari books, promotional literature, Ferrari Club magazines and high quality Ferrari models, memorabilia and miscellaneous items. Read more. Mercedes Literature – A Mercedes-Benz Type 180 Instruction Manual and a Unimog Manual. Read more. Alfa Romeo Watch – 1910 design. Read more. Personalized Car License Plates also for sale. Have a look at our other Autosculpt model cars for sale (as well as our other related classic car accessories).